French artist, acknowledged as the master of drawing the human figure in motion. 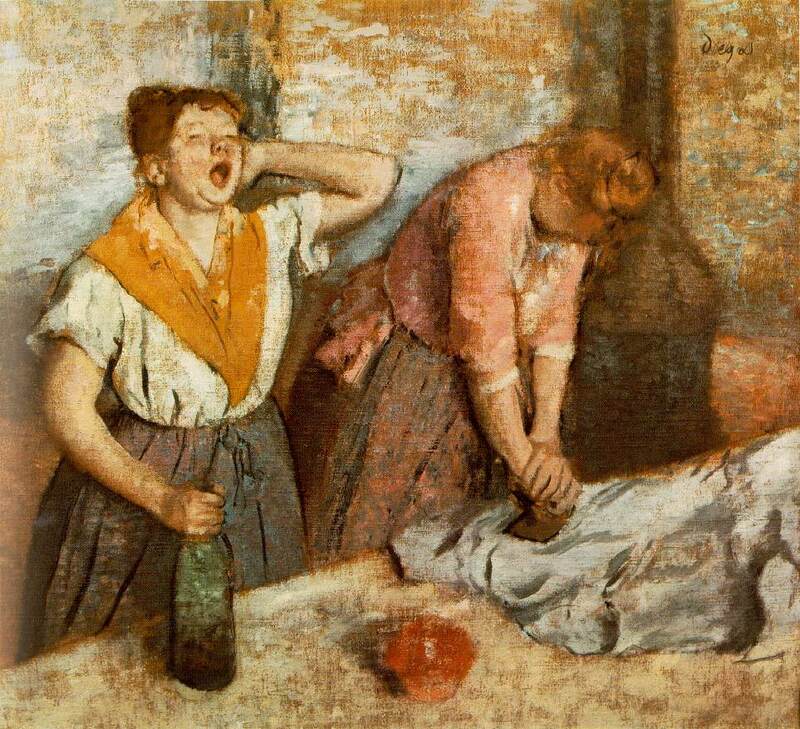 Degas worked in many mediums, preferring pastel to all others. 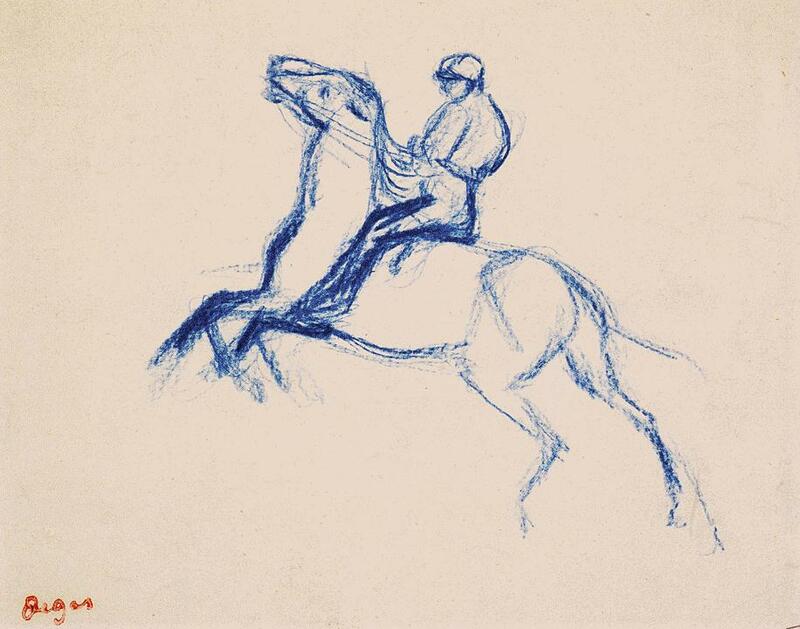 He is perhaps best known for his paintings, drawings, and bronzes of ballerinas and of race horses. The art of Degas reflects a concern for the psychology of movement and expression and the harmony of line and continuity of contour. 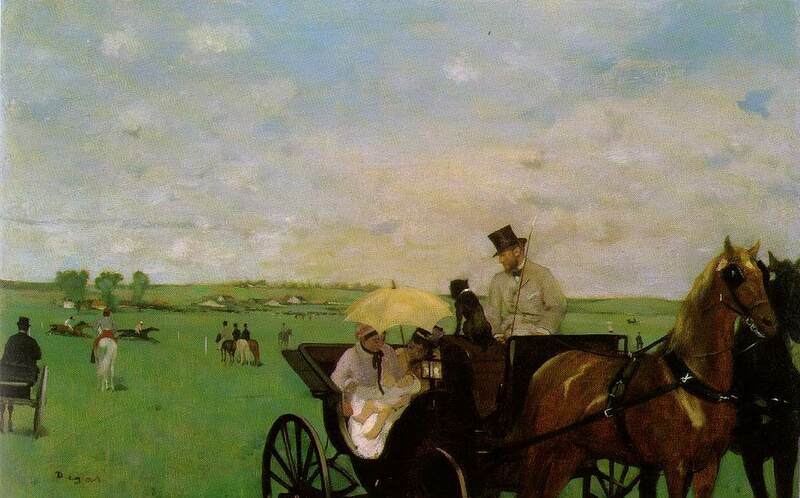 These characteristics set Degas apart from the other impressionist painters, although he took part in all but one of the 8 impressionist exhibitions between 1874 and 1886. 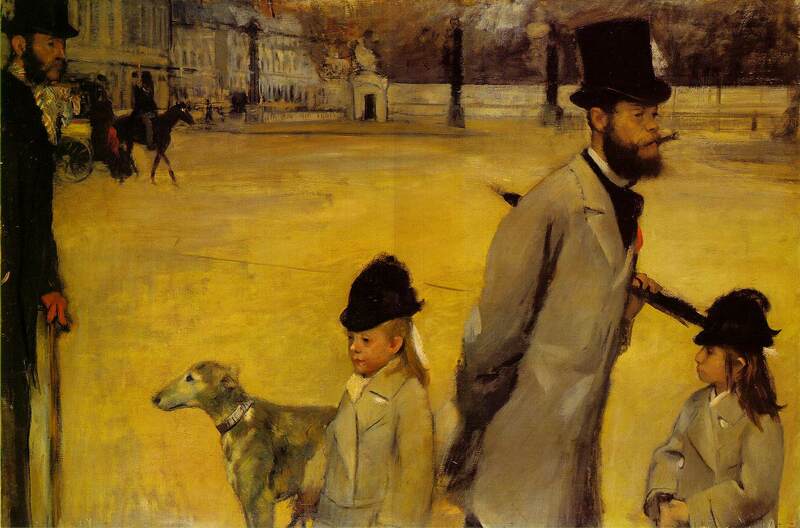 Degas was the son of a wealthy banker, and his aristocratic family background instilled into his early art a haughty yet sensitive quality of detachment. As he grew up, his idol was the painter Jean Auguste Ingres, whose example pointed him in the direction of a classical draftsmanship, stressing balance and clarity of outline. After beginning his artistic studies with Louis Lamothes, a pupil of Ingres, he started classes at the Ecole des Beaux Arts but left in 1854 and went to Italy. He stayed there for 5 years, studying Italian art, especially Renaissance works. Returning to Paris in 1859, he painted portraits of his family and friends and a number of historical subjects, in which he combined classical and romantic styles. In Paris, Degas came to know Édouard Manet, and in the late 1860s he turned to contemporary themes, painting both theatrical scenes and portraits with a strong emphasis on the social and intellectual implications of props and setting. In the early 1870s the female ballet dancer became his favorite theme. He sketched from a live model in his studio and combined poses into groupings that depicted rehearsal and performance scenes in which dancers on stage, entering the stage, and resting or waiting to perform are shown simultaneously and in counterpoint, often from an oblique angle of vision. 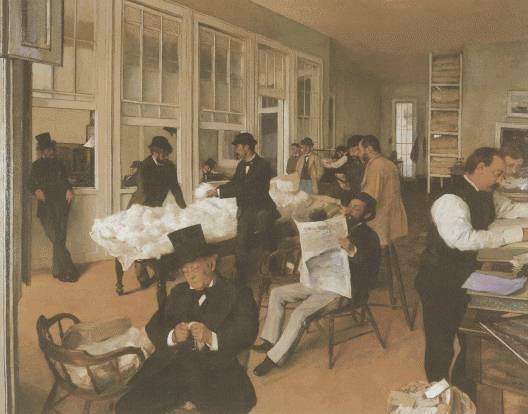 On a visit in 1872 to Louisiana, where he had relatives in the cotton business, he painted The Cotton Exchange at New Orleans (finished 1873; Musée Municipal, Pau, France), his only picture to be acquired by a museum in his lifetime. Other subjects from this period include the racetrack, the beach, and cafe interiors. After 1880, Pastel became Degas's preferred medium. He used sharper colors and gave greater attention to surface patterning, depicting milliners, laundresses, and groups of dancers against backgrounds now only sketchily indicated. For the poses, he depended more and more on memory or earlier drawings. Although he became guarded and withdrawn late in life, Degas retained strong friendships with literary people. In 1881 he exhibited a sculpture, Little Dancer (a bronze casting of which is in the Museum of Fine Arts, Boston), and as his eyesight failed thereafter he turned increasingly to sculpture, modeling figures and horses in wax over metal armatures. These sculptures remained in his studio in disrepair and were cast in bronze only after his death.